All bed linen, cutlery and crockery provided. 3 bedrooms one double two twins and pull out double in lounge. Shower room with separate toilet kitchen with all appliances including microwave and fridge freezer. Lovely lounge with TV and DVD player. 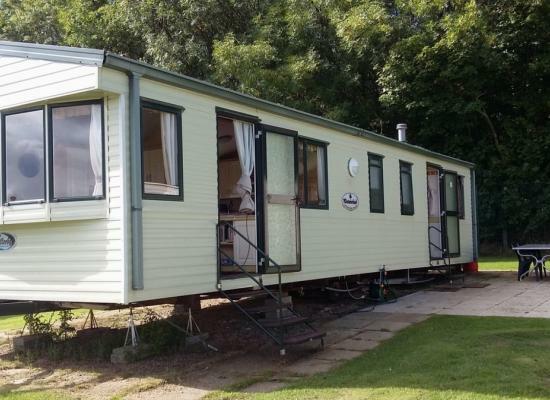 3 bedroom (6 berth) caravan for let at Cresswell Towers, Northumberland. 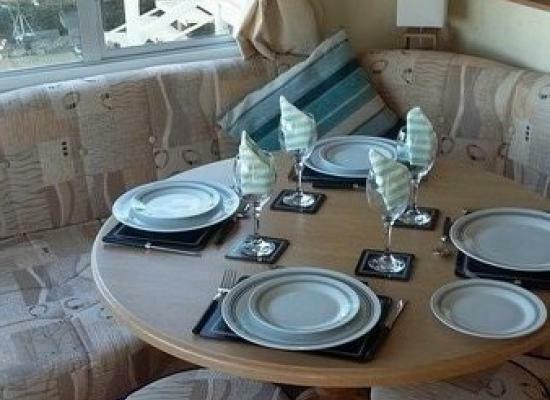 Cresswell Towers Holiday Park in the North East is located at the end of a beautiful 6-mile stretch of sweeping sand. 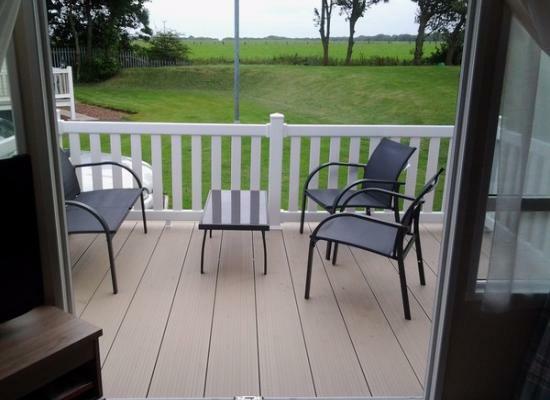 Cresswell Towers is a friendly park which is perfect for those relaxing family holidays. With a great range of onsite facilities including; sports court, playground, amusements and pool and just a 5-minute walk to Druridge Bay beach there is lots to keep the whole family entertained all day. Further afield there is lots of countryside to explore, woodland walks, sea fishing and an 18-hole golf course at nearby Longhurst are all close at hand. Plus, a little further afield you’ll find the beautiful Farne Islands and Holy Island, superb shopping in Newcastle, and Alnwick Castle and Gardens (the majestic setting for the Harry Potter films) within easy reach too.